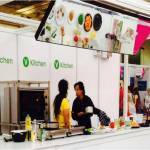 We have a number of advertising opportunities and 4 sponsorship opportunities for Businesses looking to get in front of 50,000+ UK Asian Restaurateurs or Asian Restaurants throughout the UK. We can offer you a banner advert, quarter page advert, half page advert and full page advert or adverts, in a new high end glossy Asian Restaurateur Trade Magazine for prices from just £200. 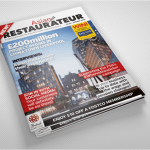 The Asian Restaurateur trade magazine gets distributed to the owners and workers in over 17,000 Asian Restaurants throughout the UK, as well as placed online and marketed in regular emails out to a 50,000+ Asian Restaurateur database as well as posts to their relevant social media followers. 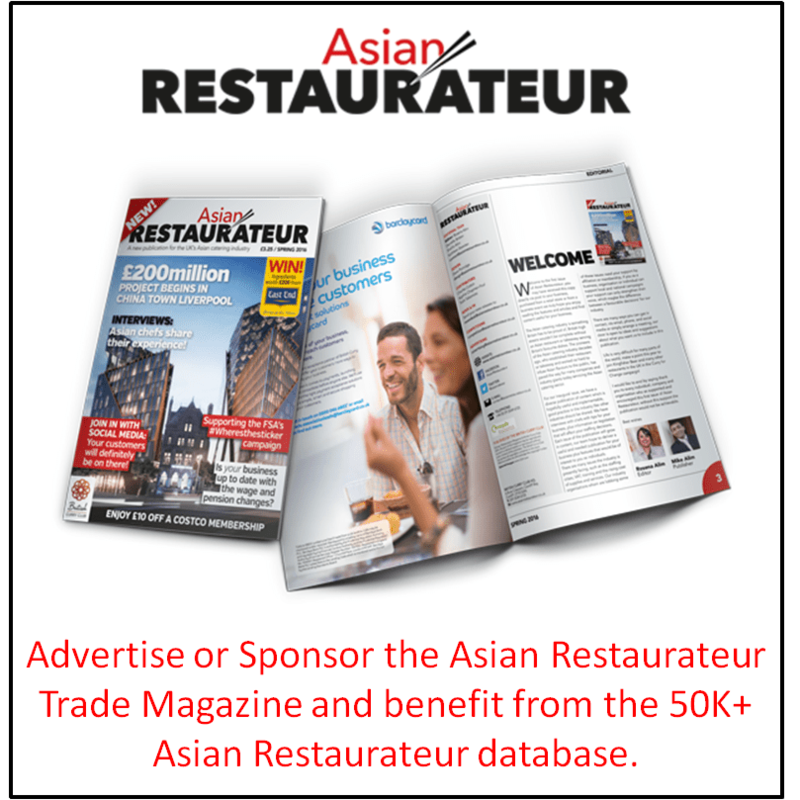 Sponsors of the high end Asian Restaurateur trade magazine will get high profile inclusion in the Asian Restaurateur focused trade magazine for an 18 month period (across 5 editions), which will consist of 2 full page, prominent position adverts and full page of content (advertorial) within the Asian restaurant trade magazine. Sponsors also receive inclusion in the regular email marketing to the 50,000+ Asian Restaurateur database (including once a month sponsor only dedicated mail out) as well as regular social media posts to their social media followers and inclusion in the many Asian Restaurateur and Food focused Trade Shows and Exhibitions that are completed throughout the year. Interested in finding out more, booking your advert or an 18 month sponsorship? For more info or to discuss pricing and availability of adverts or sponsorship please call: 07517 024079 or email: maconsultancy1@gmail.com .